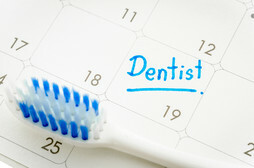 We practice Complete Health Dentistry. We are committed to providing you and your family comprehensive dental care, our approach is not only to keep your smile healthy, but to care for your overall health and well being. Having the implants was a great experience. Dr O’Grady and the staff are wonderful, very professional and caring. Having implants is one of the best investments that I have made. It has changed my life, no more adhesive, better self confidence and I’ve never regretted having implants done. Thank You. My almost 6-year-old needed to have two cavities filled and is extremely nervous around people she does not know well. After two attempts with other dentists, IV sedation looked like our only option...UNTIL Dr. White! So thankful for her willingness to work with my daughter and put her mind at ease! She was so amazing with my daughter and fixed both teeth without all the hassle and chaos! Thank you! Happy National Dental Hygiene week to these two AMAZING ladies! We LOVE you both and could not do it without you! Thank you for ALL you do for our patients and our team! Please check the box to verify you're human. Our office is always available to discuss concerns or help you with your dental questions. Please feel free to contact us during the following hours via phone or email. After hours, emergency contact numbers are listed on our voicemail. Copyright © 2019 Crosswinds Dental. All Rights Reserved. Website development by m2 marketing.